About a year ago I wrote a quickstart guide on how to buy Bitcoin. What a difference a year makes! Since then, Bitcoin and the rest of the cryptocurrency market has taken us all for a rollercoaster ride. Massive losses in price from the all-time high have caused many to lose interest. Those still paying attention, however, have seen that what was lost in market cap was gained product development. What’s come into focus now is the fact that this movement is about so much more than money and the real excitment has just begun. So after I learned how to buy Bitcoin, I learn how to trade it. And after I made a few trades, I started looking into mining. Then after reading up on mining and tinkering around with a web-based toy or two, I started thinking about how I might earn cryptocurrency, instead of buying or mining it. That’s when I went on the hunt for job in crypto. There weren’t many to match my skills, but I kept digging until I found a wonderful opportunity with Status.im. 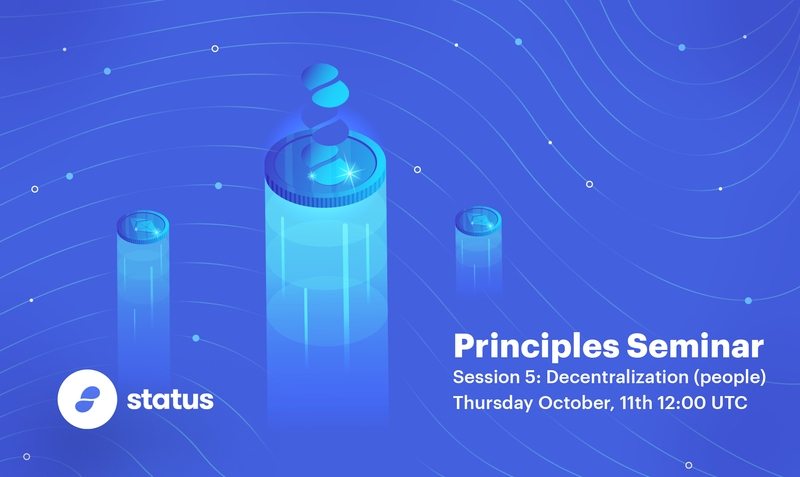 Status is a decentralized organization that creates decentralized applications and fosters decentralized governance… It’s a mouthful and a mind twister, but stay tuned and I’ll talk more about these concepts in future posts. For now, suffice it to say that the organization exists to create unfettered access to communication and transaction on the web. The new web, that is: Web3. The team of core contributors at Status is incredibly ambitious and during my time working with them I was the UX writer for a number of features, including a crytocurrency wallet, an ENS domain registrar, and the beginnings of a blockchain voting application. It was challenging, but very gratifying to learn about these technologies then work toward making them relatable to end users. The commitment to decentralization goes deep at Status. 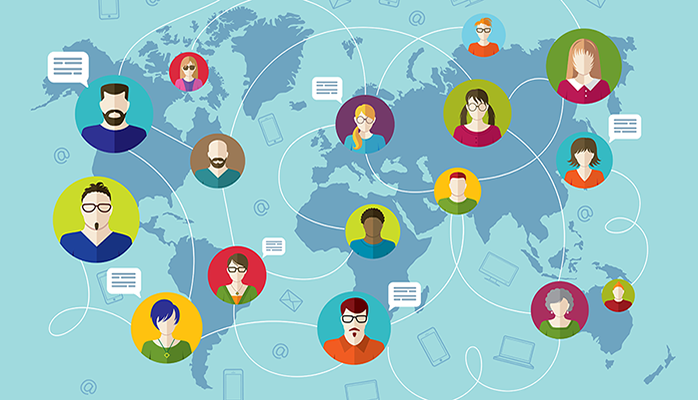 The team hires contributors from all over the world and encourages anyone from the community to contribute via bounties. This framework meant that my role there was not just to write, but to establish a content strategy discipline within the organization. Check out the short presentation I gave shortly after starting the contract, describing what I was there to do. I’d only started to bring together the high-level strategy when my contract came to an end. The team invites new contributors to come work on a 3-month trial basis before deciding whether they are hired as a core contributor. Unfortunately, I was not asked to join after my trial. I received good feedback from teammates on the value of my contributions to the app development, but my failure was that I spent too much time in the tactical trenches and not enough time flying the content strategy flag in the organization and beyond. That’s my post-mortem assessment, in any case. It was important for me to bring this forward quickly because in a truly decentralized organization it’s crucial that no process depend on a single person. I regret that I wasn’t about to deliver on this promise quickly enough, but I did begin to lay a foundation, based the Status Principles & on what I learned during the development process. Pick your channels: Information is coming from every direction quickly, but rarely directly. Rather than trying to give cursory attention to all of it, pick ~3 “channels” or sources that you keep very close tabs on and join the conversation. Make sure your voice gets heard often in a few key places and the highlights will carry over to the spaces where you don’t frequent. Ask for feedback: Don’t wait for formal feedback structures to find out what your teammates think of you and your work. Make a point to ask for casual, 1-on-1 feedback from a variety of sources – and do it often. You’ll learn who wants you to succeed and who has the unofficial 411 on team sentiment. ID your allies: In one of my farewell conversations a former teammate quipped, “It’s Lord of the Flies around here.” He was (mostly) joking, of course, but it struck me as significant because I hadn’t thought of the organization in that way until the moment I read the words. The culture may not be competitive in the kill-or-be-killed sense, but there’s certainly a sink or swim culture and the part of surviving is knowing where the life preservers are when the water gets rough. Figure out who wants to keep you around and be an ally them and for others to help ensure their success. Failure is an excellent teacher, if you’re willing to sit through the lecture. Onward and upward, my friends!